Coupons sent straight to your phone! Download the Adventureland App to have coupons sent straight to your phone! 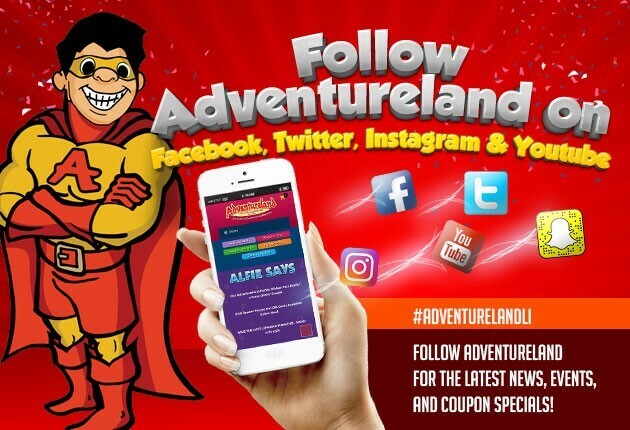 Follow Adventureland on Facebook, Twitter, Instagram and Youtube – for the latest news, events, and coupon specials!